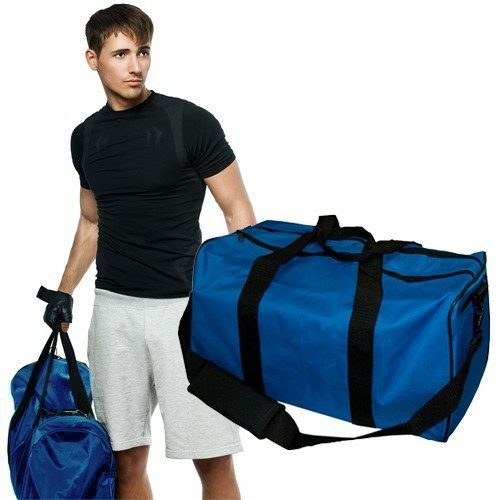 Sturdy Canvas Gym Bag Just $8.00 Down From $29.99! Ships FREE! You are here: Home / Great Deals / Sturdy Canvas Gym Bag Just $8.00 Down From $29.99! Ships FREE! GearXS has this Sturdy Canvas Gym Bag on sale for $8.99 (Reg. $29.99) + FREE shipping! This high quality Sturdy Canvas Gym Bag is perfect for a day at the gym or for using during short-stay travel. The bag is sturdy and has 3 compartments. The large compartment is perfect for gymwear, casual clothing, shoes, and towels. The small compartment is great intimates, toiletries, and socks. A small open outer compartment is also at your disposal. Each bag is 10 tall 18 long and 9 wide. Choose between three colors: black, navy blue, and royal blue – or get one of each. Order today as supplies are limited.